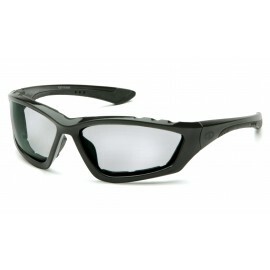 The "Legacy" safety glass offers a sports fashion look at an economical price. The temples are adjustable with 4 settings and the nosepiece is made from soft PVC. The single lens is coated for scratch resistance and protects against 99% of harmful UV rays. Exceeds ANSI Z87.1 2003 High Impact requirements.